MINI’s Vision Is Not so… Mini! To have a vision means to look towards the future and picture it in a way that others cannot imagine. The future is always unwritten, but that doesn’t mean that it will stop some people from trying to imagine it, to capture it in the grasp of their imagination and to try to make it a better place for all of us. Martin Luther King had a vision, for instance. His words are legendary: “I have a dream!”. Unfortunately, he didn’t live enough to witness his dreams and visions coming true. Leaders of the world ought to have a vision as well; especially in these times of uncertainty we live in since the dawn of the economic crisis. Do they really have? Well, that is certainly a matter of debate! Having a Vision involves being optimistic & creative. Having a vision also involves being optimistic and creative, opposite to envisioning dystopias and disaster. The easiest thing to “predict” for the future is potential ecological disasters or other terrible things about the world we live in. And unfortunately, many people are often tempted by apocalyptic prophecies and gloomy images of an uncertain future. Just take a look on how many movies about the end of the world have been made in the last years! Too many for my taste, might I add! The hard thing is to envision a future that will make our lives better, as it would also involve much more input of energy and good will into building it and making it happen. And just like some great historical figures managed to envision positive changes, whether these changes happened or not, there are also some others that struggle hard to make our lives better in a more modest, still important, way. 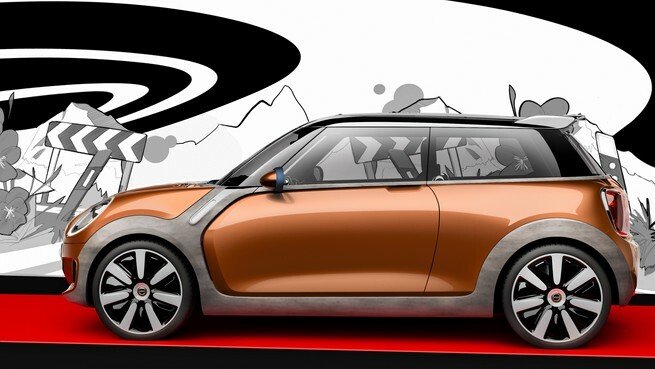 Take the designers of the MINI for example; their MINI Vision that was recently presented to the world brings an image of an enjoyable and playful future to us. Personalization is the key. 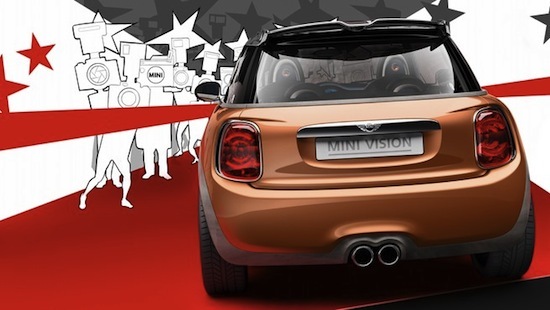 The MINI Vision will offer the Driving Experience Control which will turn your MINI into a personal object of desire. The driver will have the chance to change the colors and the atmosphere of the car by simply pressing a button! Don’t tell me that you don’t remember that there was a time when we dreamt of these to happen! Pressing a button and turning everything the way you like it… Well, apparently this time has finally come and today you can simply make it happen! If you can’t wait till MINI introduces its vision of the future of cars, there is always a MINI Cooper for sale now that will satisfy your needs and desires as you will keep an eye open towards the very near future. The future is almost here and now: a car’s interior to change at a press of a button! 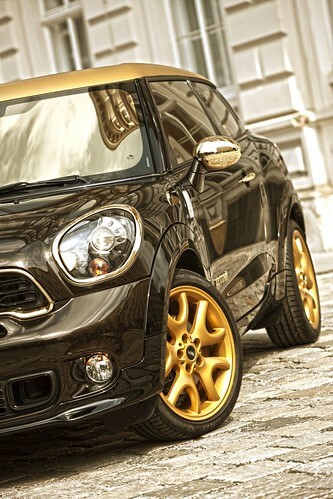 In the MINI Vision in particular, colors can be changed immediately depending on your mood and only. A special feature would be the “MINI Disco” floor, by the use of which you will be able to change the colors, light and forms around you. What is more, you will have the option to “play” with the car’s central display: you can choose between the classic analogue style and a futuristic 3D look. However, something tells me that most of us would have gone for the latter option, after all! Is there anyone actually that isn’t looking forward towards a 3D future? Just think of the movies; there is no going back from the revolution of the 3D, right!? 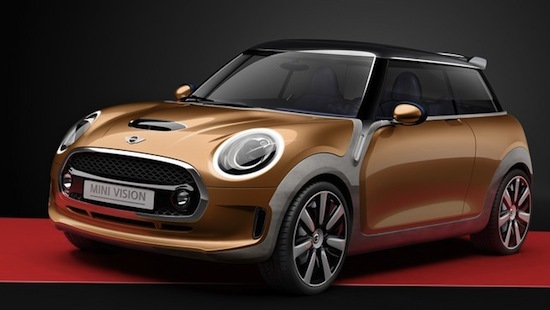 The presentation of the MINI Vision was in the form of a virtual 3D hologramme, enhancing in this way the expectations of a MINI that incorporates 3D technology. The MINI vision is certainly stands for a new identity for the car: a more and more personalized car, as a prolongation of your own self. Individuality matters not only on the way we decorate our houses and choose to dress ourselves. It matters on anything we wish to own and more or less anything we feel attached to or connected with. Till now it was quite easy to choose the color of our car; these days will be over soon, as the new generation of cars such as the MINI Vision might take us, at last, to a reality where our own cars will be that place with a disco floor and a kaleidoscope of colors, in the shades or our own dreams. In other words, prepare yourself for the drive of your life! Each mile will bring you joy! What is it that matters most of all things in our lives? This is actually a question with as many answers as courageous people daring to take it as a challenge. That because what makes the difference in our lives is doing things, is making things happen, acting for a good cause or in a positive direction. We spend our lives doing – or at least trying to do – what’s best for us and for all those persons who matter the most in our lives , such as family, friends etc. This is only natural and fair enough, one might argue. However, it is precisely when we do something about and act in the direction of helping other peer humans – people we have never met personally and whose names we do not know, but who find themselves in deep trouble – that we, humans can be proud of our actions. This is the reason why charity matters; charity is about empathy and about making a point about the fact that we are not alone in this world. 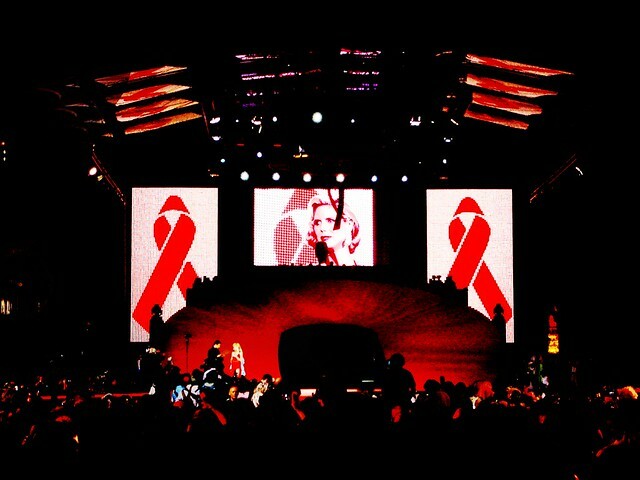 The Life Ball is the biggest annual charity event in Europe in support of people with HIV or AIDS and it is also one of the world’s biggest charity events in general. It takes place in Vienna since 1993 and it is organized by the nonprofit organization AIDS LIFE, which was founded a year earlier. It is a big event that attracts much attention also due to the fact that many celebrities usually attend this charity event. Personalities such as Liza Minnelli, Naomi Campbell, Linda Evangelista, Sharon Stone, and Heidi Klum among others have been attending this event over the years. This year, notable people like the former President of the U.S. Bill Clinton, Sir Elton John, the Hollywood actors Hilary Swank and Melanie Griffith, Fergie and Barbara Eden among others showed up at the Life Ball. There are thirteen special edition MINI models that have been created so far and this contributed with more than half a million Euros for funding the fight against the terrible disease. 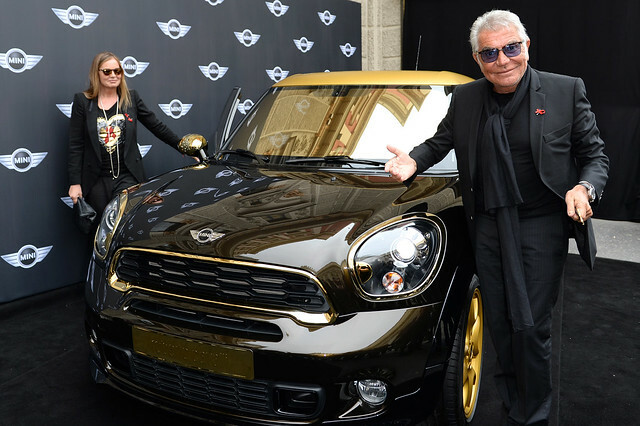 As a matter of fact, Roberto Cavalli’s golden version of the MINI Paceman broke all records: it was auctioned for 150.000 Euros, which will, of course, be donated to support the fight against AIDS. During the previous years, designers such as Donatella Versace, Gianfranco Ferre, Testino, Franca Sozzani, the creative team of DSQUARED and Agent Provocateur (among others) have tried their best in presenting a unique and highly imaginative MINI car. My personal favorite is still the 2009 MINI Cabrio created by The Blonds, one of Hollywood’s fashion favorites. The design was inspired by Kate Perry herself, according to the creative team. I guess that any fashionista that respects herself/himself , but also the rather bitter issues concerning the world around us, would have been proud of such a MINI. I wonder what next year’s edition will bring!